Nigeria’s Minister of State for Petroleum is currently trending on social media for an interesting reason. He revealed in an interview that he loses at least a million dollars every year just to serve his fatherland. 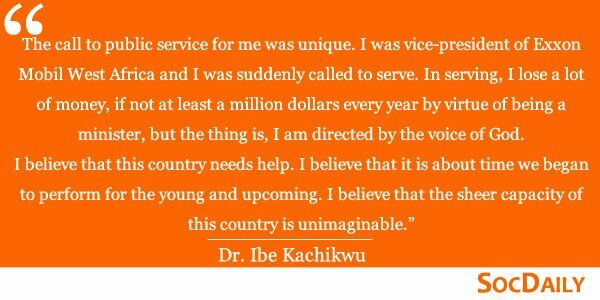 While the statement has been received with shock by many Nigerians, with many praising him for putting so much at stake to serve his fatherland. NextIyabo Ojo and her mini-me pose for the camera.